Wouldn’t it be great if there were a way to be sure you’re not investing your precious conservation dollars in ineffective strategies? You’re in luck! There’s a framework set up to help teams assess their work and adapt based on new information. 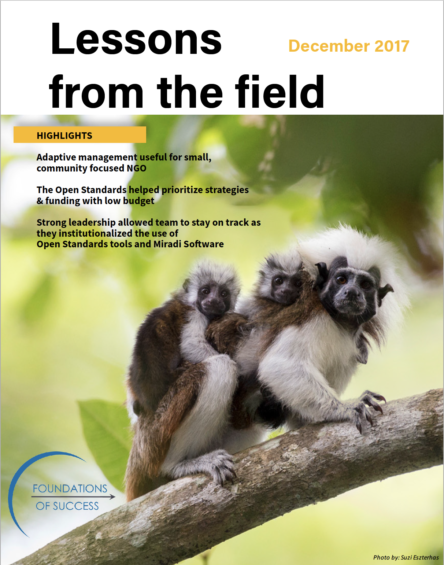 In this month’s Lessons from the Field, we bring you a shining example of what that framework, the Open Standards for the Practice of Conservation, has done for one small NGO, Proyecto Tití. The Proyecto Tití team and FOSer, Armando Valdés, have been working and learning together for several years. 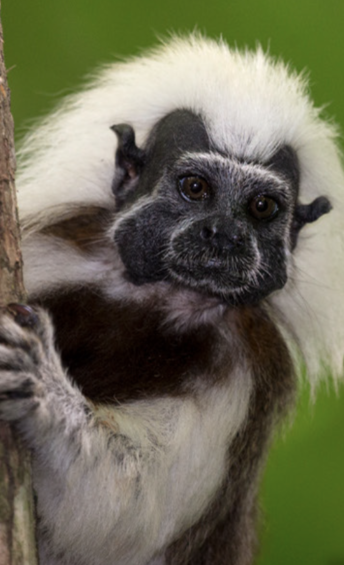 Proyecto Tití has been a champion of the Open Standards as they continue to implement, monitor, learn, adapt, and share the result of their work with the conservation community. Using the Open Standards to plan and prioritize in the Munella Mountains. 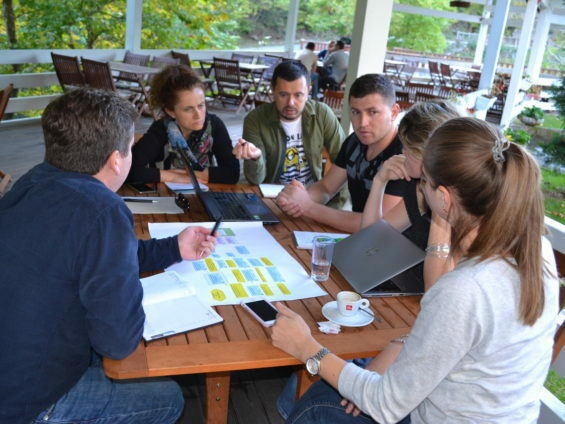 The Balkan Lynx Recovery Programme has completed another loop around the Open Standards adaptive management cycle with the help of FOS Europe. The team took information gathered on their conservation strategies and considered it as they conceptualized and planned for the following year’s activities. 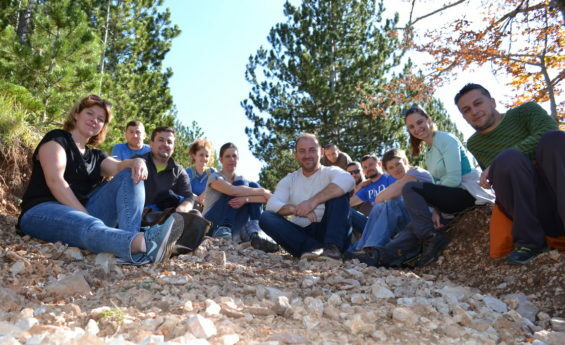 The team, including PPNEA, MES, KORA, and Euronatur, gathered in Munella Mountains, Albania for an annual review of their work. They use adaptive management to monitor their strategies and adjust as needed. During this year’s review, the Albanian team recognized that enforcing laws that keep the lynx safe is not all that’s needed to protect the animal. As a result, they’ve shifted focus onto the benefits that local people receive from coexisting with the lynx in the Munella Mountains. Annually revisiting their management plans allows the Programme to check in with their strategies and be sure they’re having the intending impact. The planning team “caught on camera” where a camera trap snapped an image of the Balkan lynx. The Balkan Lynx Recovery Programme works to protect the critically endangered Balkan Lynx within much of its known range (Macedonia, Albania, and Kosovo). Specifically, the Programme aims to: halt further decline of the Balkan lynx population and secure its survival in the protected areas of the Green Belt; generate knowledge needed for long-term conservation of the species; build the professional capacity needed to maintain the programme in the region and; improve partnerships, public awareness, and involvement in conservation. Visit their Facebook page for updates and stunning camera trap footage!